I hate oatmeal. I really do. Every time I attempt to eat it I give up halfway through. 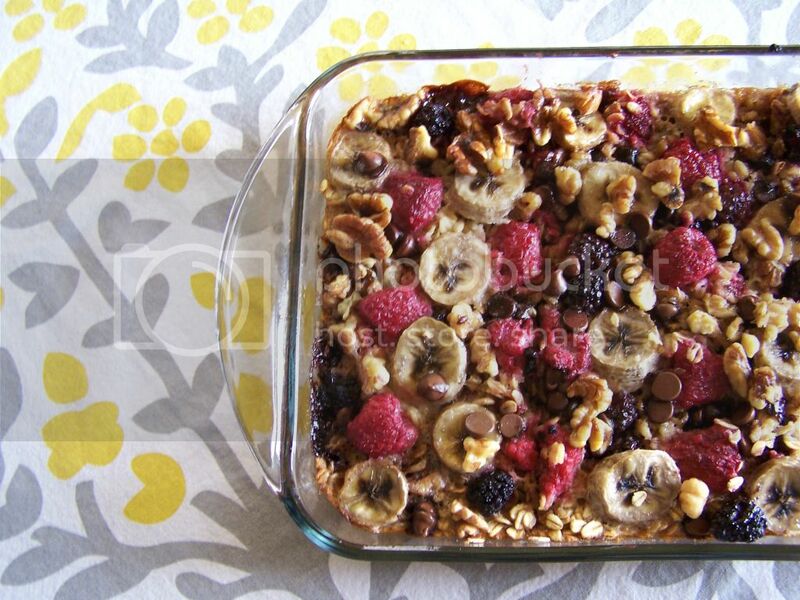 But for some reason I can't seem to get enough of this baked oatmeal. What makes it even better is the fact that it is one of the easiest things to make. The next morning, preheat oven to 375°F and generously spray the inside of a 10-1/2 by 7 inch baking dish with cooking spray and place on a baking sheet. 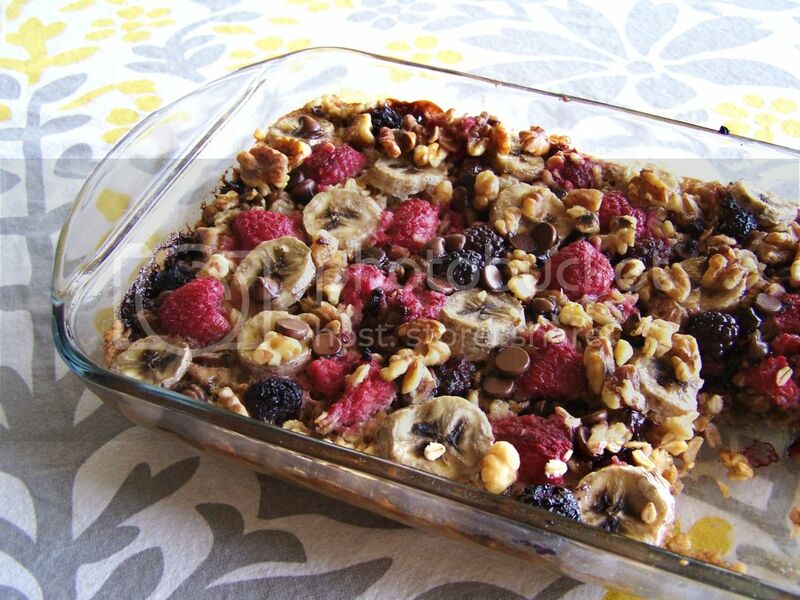 In a large bowl, mix together the oats, sugar, baking powder, cinnamon, salt, half the walnuts, half the berries and half the chocolate chips. In another large bowl, whisk together the milk, egg, butter and vanilla extract. Add the oat mixture to prepared baking dish. Arrange the remaining strawberries, walnuts and chocolate on top. Add the banana slices to the top then pour the milk mixture over everything. Gently shake the baking dish to help the milk mixture spread throughout the oats. Bake 35 to 40 minutes or until the top is golden brown and the milk has set. To make this recipe even easier, combine all of the ingredients into a baking dish the night before and let it sit in the fridge overnight. Once you wake up pop it into the oven and bake. 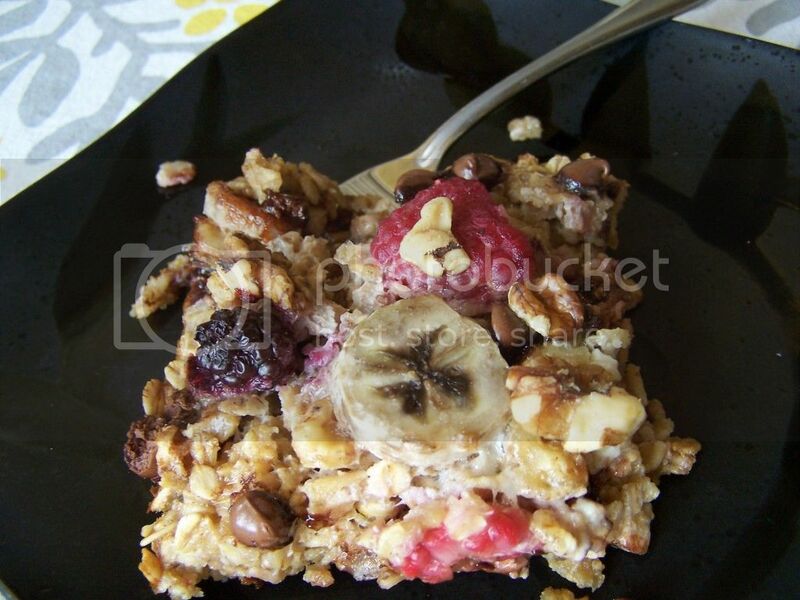 Have you ever made baked oatmeal before? Is there a different recipe that you've tried before? Let me know in the comments below so we can discuss.